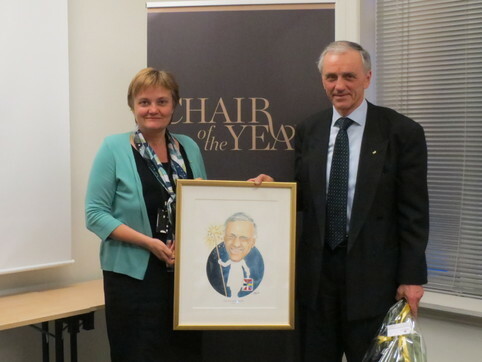 Nordic Chair of the Year is the highest ranked award in the Nordic countries for a chairman. • Risto Siilasmaa from F-Secure, building a global company in 21 countries, in 2012 appointed chair of Nokia. The winner shall be an inspiration for other chairmen and board members in the Nordic region and may have a vision about helping boards in one of the worst financially situated countries within EU. Spain is pointed out to be the first project where export of Nordic board competence may prove to become a tool for finding strategies out of the financial crisis. Lars Nørby Johansen, Falck as; The company has 4 business areas; Rescue, Training, Assistance and Healthcare. With 1800 ambulances the company is the world’s largest international ambulance operator. Additionally, Falck has the world’s largest international firesquad operating in 8 countries. Mr Nørby Johansen has contributed strongly to the internationalization process in more than 35 countries. Falck’s annual report 2012 came out very impressingly with a turnover of 11,2 bill kr, which is a 12 % increase. EBITA grew with 10% to 561 mill kr. The chair has participated in making the company listed on the stock exchange in difficult times which has been a great success also for the owners. The company’s market value have increased from 29 bill kr January 2011,to impressing 48 bill kr March 2013. This partly due to a very generous 80% dividend policy to the shareholders and bonus shares after 2 years ownership. Mr. Hansen is strongly engaged and focused on the best for the company. His wide range of experience from various branches gives him valuable perspectives before decisions shall be made. He is open minded and encourages board members to share their views. Thus the board of directors becomes a good team using its members’ background and characteristics. Inge K Hansen is knowledgeable, and has working experience from the engineering and oil industry. He has the capability to focus on the value adding issues and leads the meetings in an excellent manner. With his natural authority he puts forward updated knowledge and wise leadership of the board’s work which makes him a role model for chairmen. He possesses knowledge that enables him to understand both strategic and operational challenges for the company. He balances know-how, experience and personal skills against the board members’ and the management’s interests with good results within the time limits. The Chair balances well closeness/distance to the CEO. He has integrity and a good sense of humour. The prize is a painting of the winner together with a symbol of the company and the Nordic flags. Carina Lundberg Markow 1959, Manager Responsible ownership, Corportate Governance Manager Folksam. Social scientist with Political science and MBA, Master of Business and Administration, from Copenhagen Business School, a board member of the Academy of Equality since May 2009, a thinktank founded by Lantbrukarnas Riksförbund. Gunnar Eckbo 1953, Board analyst and entrepreneur of the prize "Chair of the Year" in the Nordic countries since year 2000. Editor of a board newspaper 1999-2008. Launched the Gabrielsen Prize 2011 - the best woman candidate for a chair position in an ASA company. The ASA companies must have 40% women due to a law launched of Minister Ansgar Gabrielsen in 2002. Eckbo is responsible to set up juries in every Nordic country (not Denmark) and makes market research among chairmen.